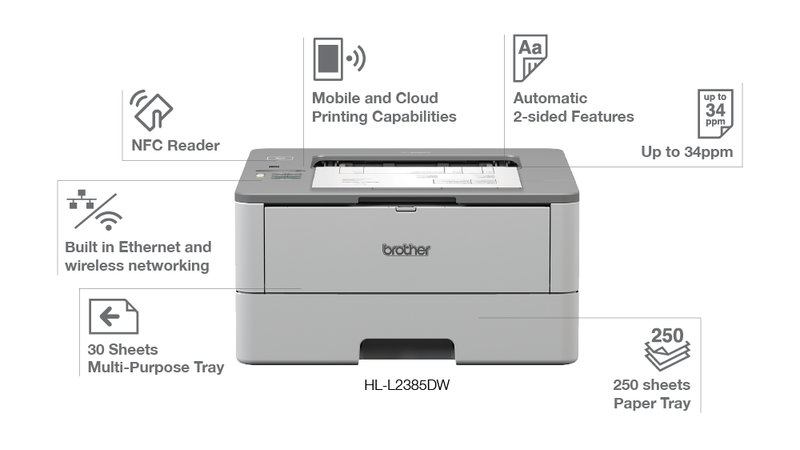 Designed for enhanced productivity and cost-efficiency, the Brother HL-L2385DW mono laser printer combines wireless and mobile printing capabilities to deliver office-wide productivity that you can count on. 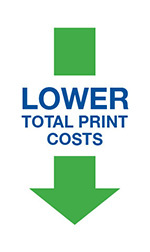 Count on business-class print speeds of up to 34ppm, first page out in less than 7 seconds, and excellent mono print quality for sharp, clear text and graphics. Stay productive for longer stretches at a go with a 250-sheet default paper tray, 150-sheet output capacity, and 30-sheet multi-purpose tray.